A report in Computerworld says that the Higher People's Court of Guangdong Province in China suggested that Apple and Proview try to work out a settlement on the "iPad' trademark issue before the court makes a ruling. The legal question here is which of the two companies owns the trademark to the "iPad" name in China. The court probably felt that by working out an agreement, both companies could walk away with some degree of happiness. If it comes down to a ruling by the court, most likely one firm will be all smiles while the other will be upset. The pressure might be on Proview to come to some sort of financial agreement. After all, the company is $400 million in debt and 8 Chinese banks are listed as creditors of the company. 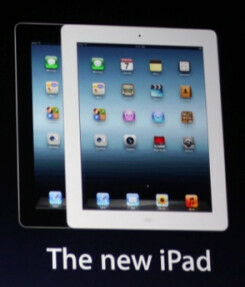 The whole complicated issue started back in 2009 when Apple secured the rights to the iPad name in various countries. In China, Apple's deal was with Proview Taipei. That normally would have been had the effect of a binding agreement except that Proview's Shenzhen subsidiary was the firm that had registered the name "iPad" on China's mainland back in 2001. Whether a coincidence or not, earlier this year Proview was seeking $400 million from Apple in exchange for the iPad name. While the court has suggested that both sides get together to work out their differences, this is not a suggestion that either side has to follow. In China, both sides to a lawsuit can enter into a "mediation procedure" which is merely a fancy way of saying that both sides sit down to negotiate a settlement in advance of the court's decision. Zhao Zhanling, a legal expert on China's information technology law, says that by trying to work out a deal, both sides are moving back from their hardnosed positions. Zhanling said, "I think there is some hope the talks will lead to a resolution. But if the negotiations fail, the higher court will be forced to move ahead and make a ruling." While Apple hasn't commented, it seems obvious that the lawsuit is what has been holding back the Cupertino based tech titan from launching the third generation of its tablet in China. Meanwhile, sales of the tablet in the unofficial grey market have been softer than expected. Proview another patent troll company that got attracted by Apple's cash. Now they are trying some desperate lawsuits just to seek some cash inorder to cover their losses and failing company. 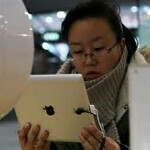 The whole complicated issue started back in 2009 when Apple secured the rights to the iPad name in various countries. In China, Apple's deal was with Proview Taipei. That normally would have been had the effect of a binding agreement except that Proview's Shenzhen subsidiary was the firm that had registered the name "iPad" on China's mainland back in 2001. Uh DUH How is Proview stealing an idea they registered 8 years BEFORE Apple? yes they are definitely not trying to steal the ipad trademark, but they patent trolling, since apple did buy that trademark off of them in the first place. The issue is that Apple claims that they purchased the trademark from Proview. Proview says that the subsidiary that Apple dealt with was not the one that owned the trademark. Alan F.